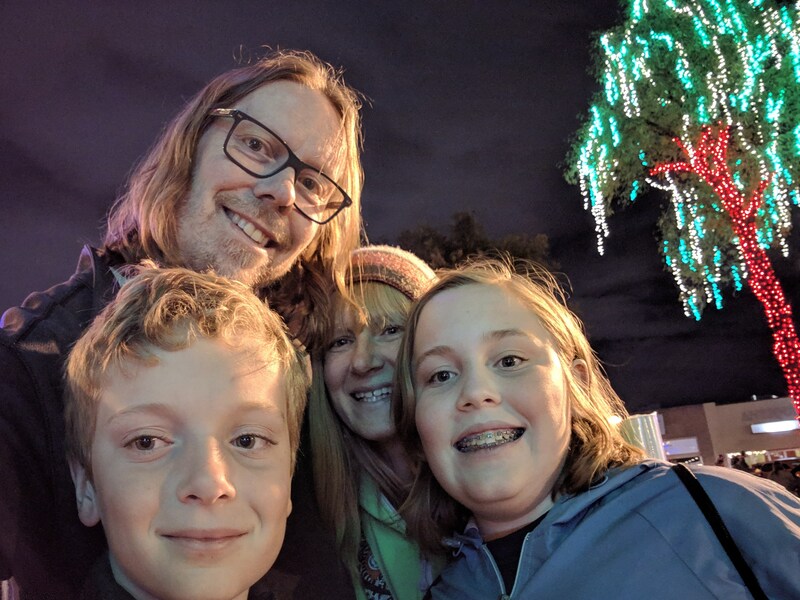 Yesterday, to get into the holiday spirit, we went on a walking tour of a Christmas lights display. Along the way, some group selfies were taken. Where did Carter get a clothespin? We have never been the most photogenic of families, but that does not stop us from having fun with it and getting our smile on. Or whatever. 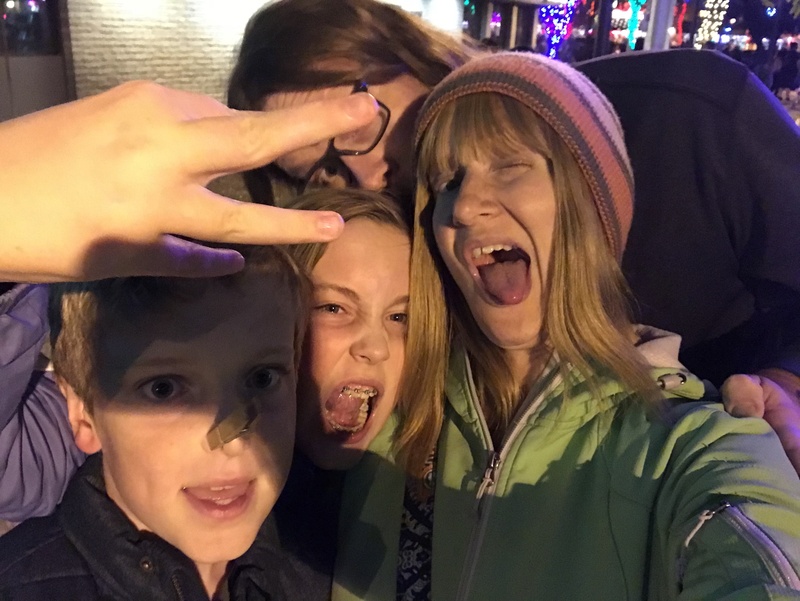 This entry was posted in Simple Sunday and tagged Christmas, Family, Holidays, Humor, Selfies. Bookmark the permalink. You’re all having such fun. I love it. Christmas lights already. Wow. We do enjoy us some Christmas lights. Today we picked out our tree and tomorrow we decorate it! I’m loving that lit tree behind you in the second photo! I know, right! Palm trees look so festive with Christmas lights.